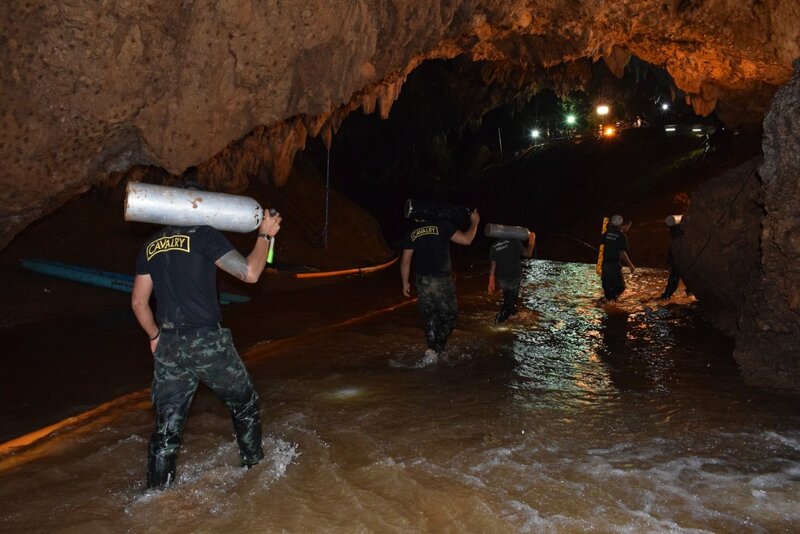 The international community is no stranger to the worldwide news about the rescue mission that raced against the clock to save the 12 ‘Wild Boars’ Thai boys and their football coach, who were trapped for two weeks in a cave in Chiang Rai, Thailand. Among all the news reports, documentaries and stories that spread all over the world, perhaps the lesson that is most noteworthy and that will leave a mark in all of us for the longest of time is the unity shown by the people during the mission that went beyond the boundaries of race and religion. Just give a count on the number of countries that were involved in this mission. The ‘United Nations Team’ as described by the governor of Chiang Rai, Narongsak Osottanakorn, consisted of locals and individuals from the United Kingdom, China, Myanmar, Laos, Australia, the United States, and Japan. Abdulrawheep Khunraksa is a team leader of a bird’s nest collectors and he told that one of his team members watched the cave rescue mission and brought it to his attention. Inspired to help and contribute with their expertise, they put to use their generations-old rock-climbing experience in helping to scour the mountainside for an alternative route and opening to reach the boys. The team of eight consisted of Thai Muslims in their 20s to 50s from Libong island, Trang province. Contribution of sustenance and motivation. Among all the parties that were involved in the mission, names such as Sophia Thaianant and Doonnia Kakakhen might not be as prominent as the others. However, they played one of the most vital roles in the heartbreaking mission: providing halal food for the Muslim rescuers and victims. Sophia, who led the Muslim female cave rescue volunteers, told BBC about what inspired their team to be a part of the mission. It began when she realised that there were more Muslims in the SEAL team than in the other units. “We know it was not easy for the Muslim rescuers to find halal food during this operation,” she voiced out her concern. It was reported that the number of halal meals prepared reached up to 200 pax per day. The meals were then delivered to the rescue site. In case you were wondering where all the funds for these halal meals came from, Sophia explained that the donations came not only from the local Muslims of Mae Sai but also from across the country. Apart from the cooking task, other outpourings of goodwill also came in multiple forms from the villagers of Mae Sai and nearby places. Rawinmart Luelert, 38, for instance, contributed by keeping her laundry shop open until late at night to help wash the rescuers’ uniforms. Others contributed by sacrificing their sole source of income: Mae Bua Chaicheun (photo) was among the rice farmers who sacrificed her rice paddies by allowing them to be flooded so that the water from the cave nearby could be pumped out to save the children. Sophia and her team, in particular, have portrayed in real life what has been ordained by Allah in the Quran (5:2), thus manifesting the comprehensive teachings of Islam: to cooperate with people in righteousness. Living in a country where Muslims are the minorities (it is reported that Muslims make up only 4 percent of the entire citizens), the team spread their wings of love so that the beauty of the faith would be propagated to the world. Sophie also added that Muslim and Buddhist volunteers in Chiang Rai worked together with no other interest than to see the mission succeed. People across all faith, race and ethnicity can come together for peace and unity under the sacred name of humanity. Humanity saved them. Will humanity bring unity and peace to the entire Land of Smile, too?